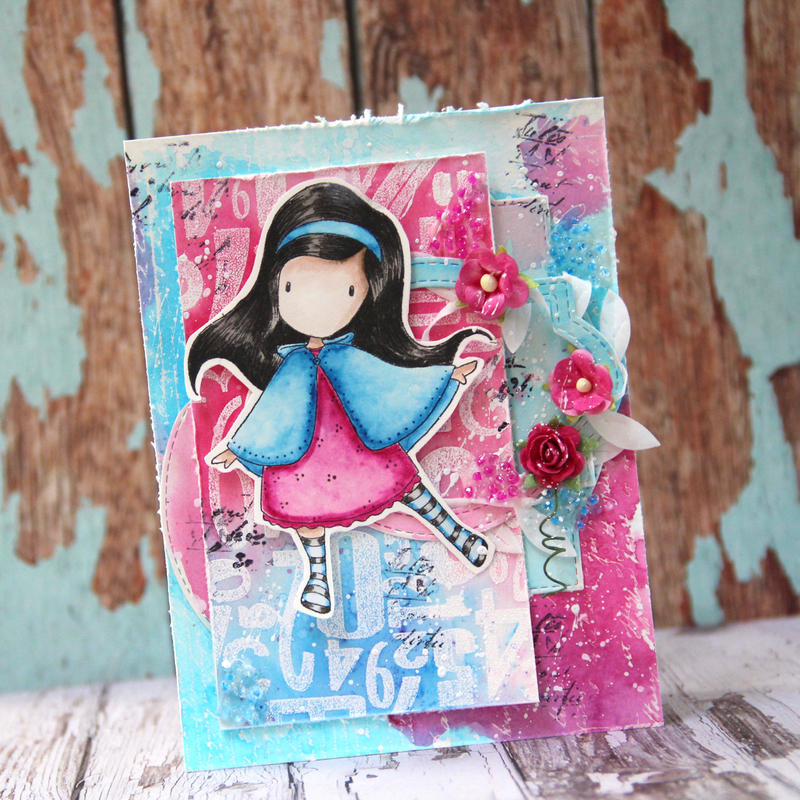 this card with Gorjuss was made for Frantic Stamper. I used background stamp Jumbled Numbers and newest dies – Stitched Notched Oval Frames FRA-DIE-10228. 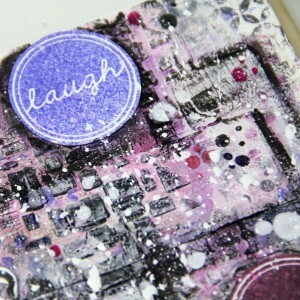 It is easy mixed media card – I stamped background stamp with Versa Mark and heat embossed it with white embossing ink. Than I played with Brushos – pigments which you can mix with water to make watercolour. I worked on watercolour paper. 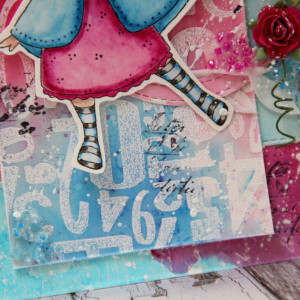 Gorjuss is stamped with Archival ink and coloured with Kuretake Zig Clean Color Real Brush markers. 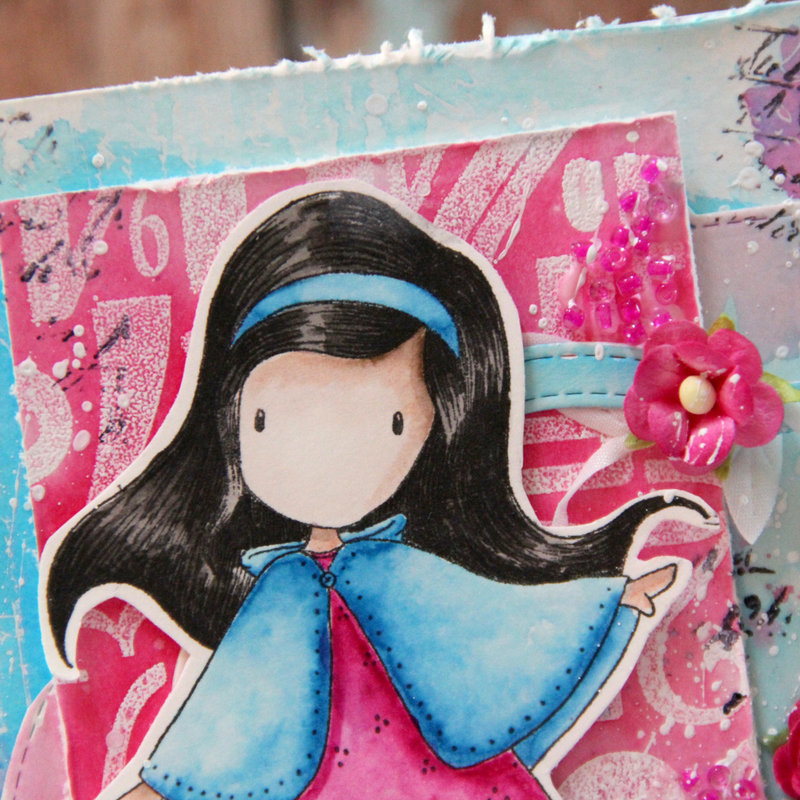 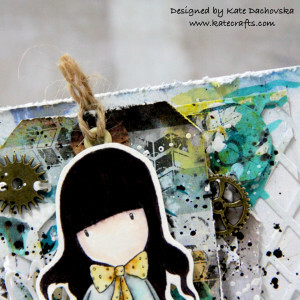 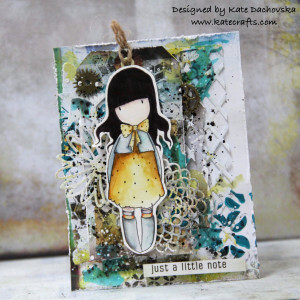 This entry was posted in Frantic Stamper and tagged cardmaking, frantic stamper, Gorjuss. 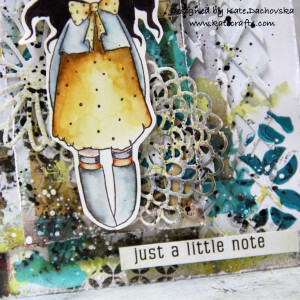 this card is for Simon Says Stamp Wednesday challenge – topic is Going Dotty. 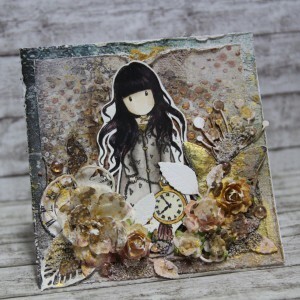 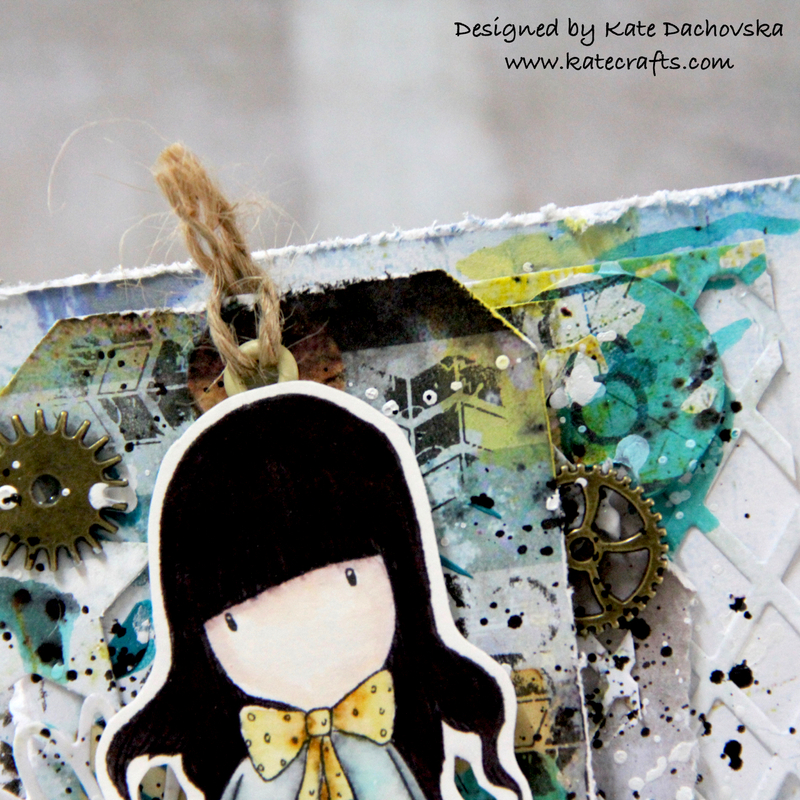 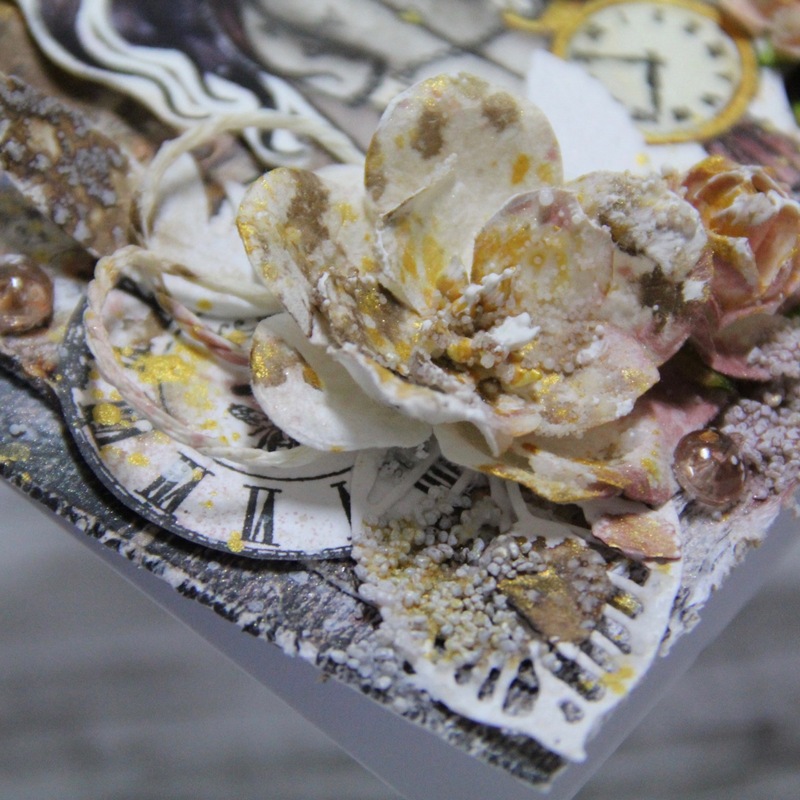 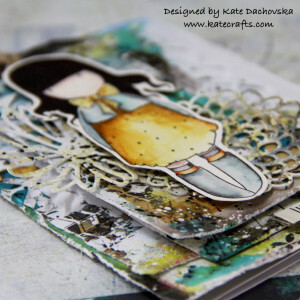 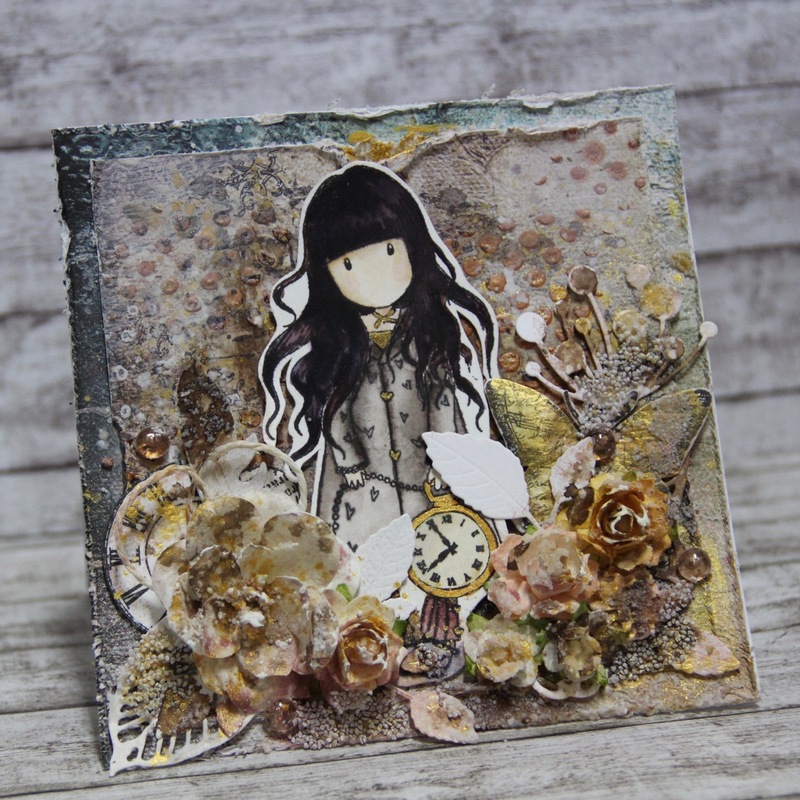 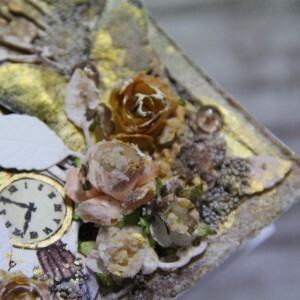 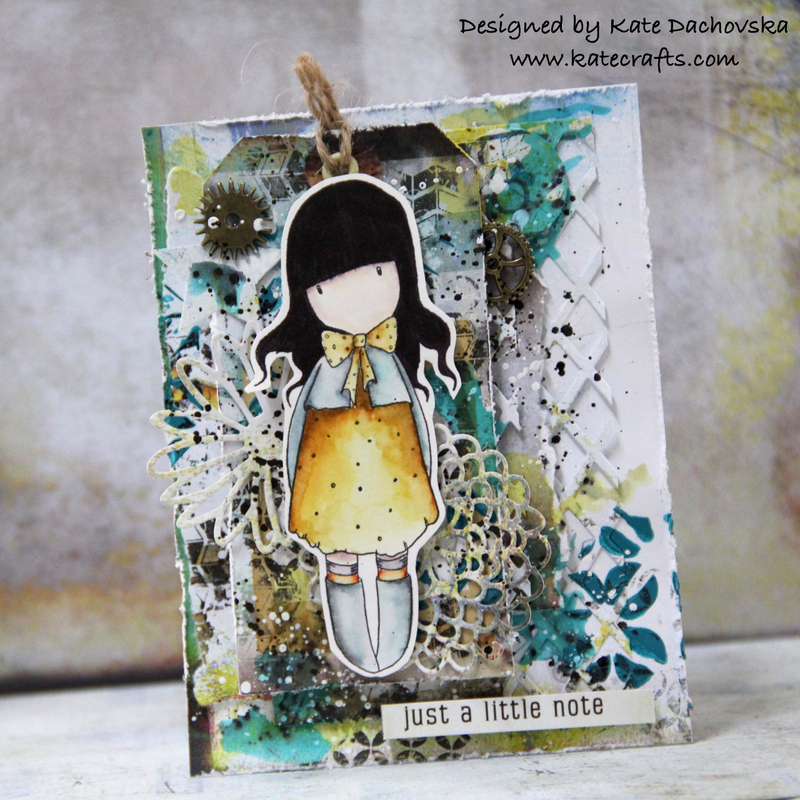 I created mixed media card with my favourite Gorjuss stamp and new 7 dots studio papers Hazy days. I also used Aladine Izink3D paste, Archival ink, 7 dots studio stamps, Kuretake Clean color real brush watercolour markers. 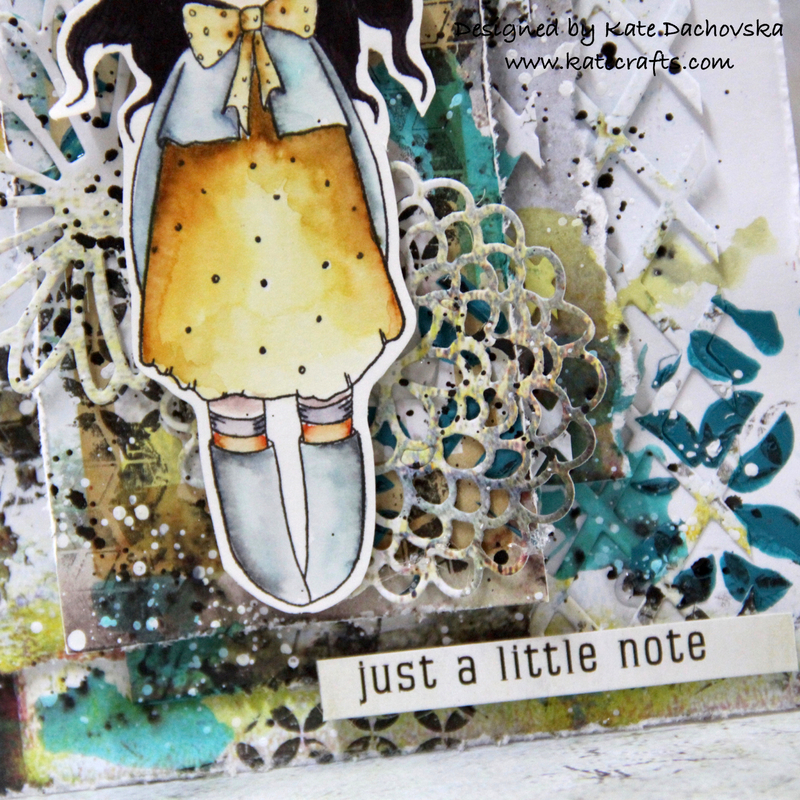 White and Black Ecoline watercolour and Tattered Angels Glimmer mists. 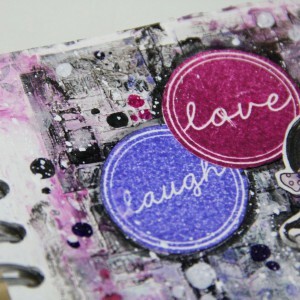 At background I also used Frantic Stamper dies. This entry was posted in Challenge and tagged 7 dots studio, cardmaking, Challenge, frantic stamper, Gorjuss, tattered angels. 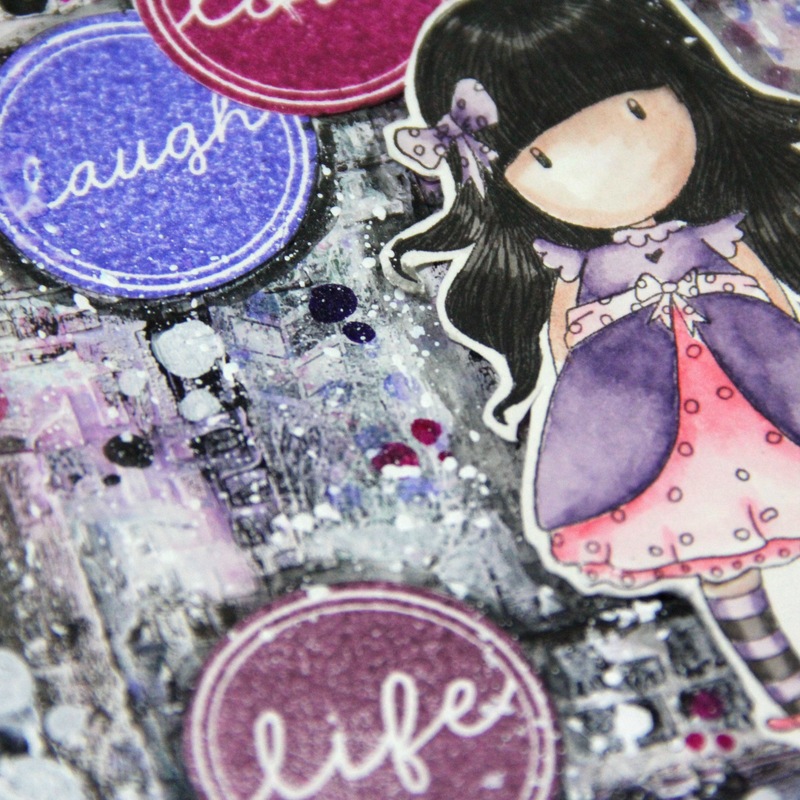 sometimes I colour Gorjuss images just for fun and let them wait for its time. 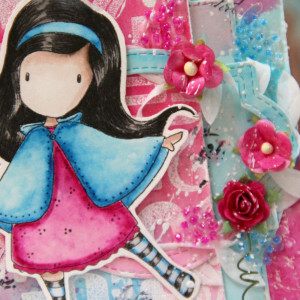 This Gorjuss was waiting few months and finally I had idea how to use it. 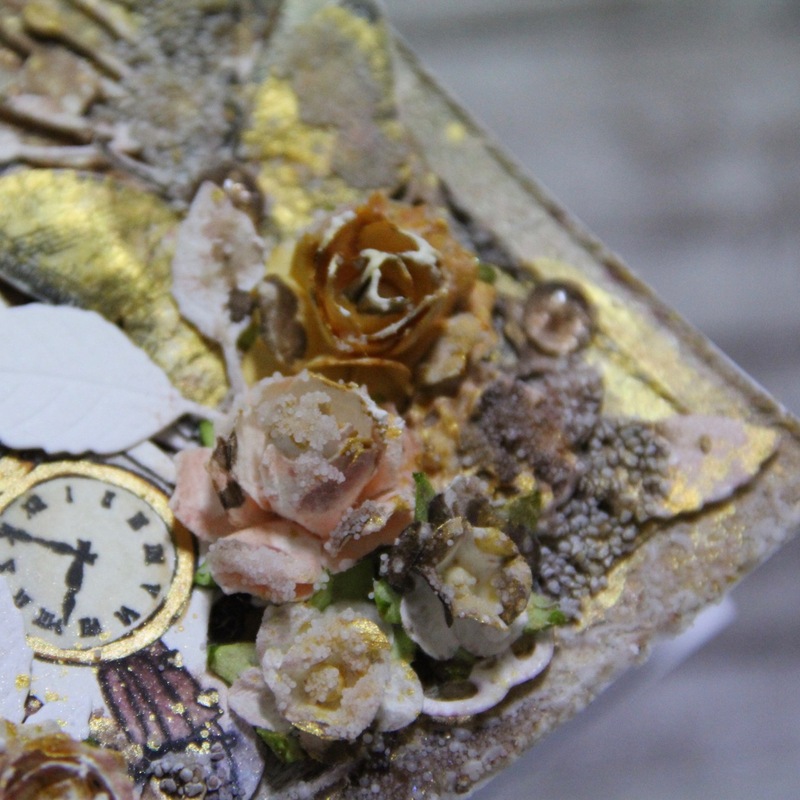 So here it is – I made art journal. My first art journal with Gorjuss and I have to say I love it. 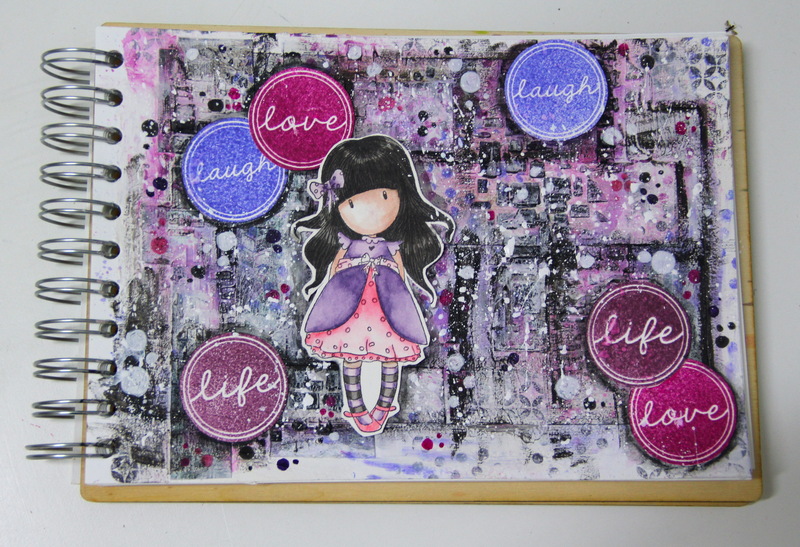 It was great fun to create something different. 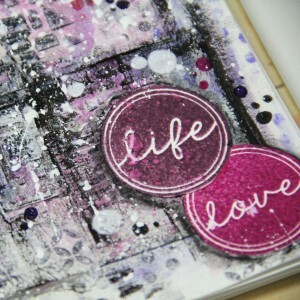 For background I used 7 dots studio papers. 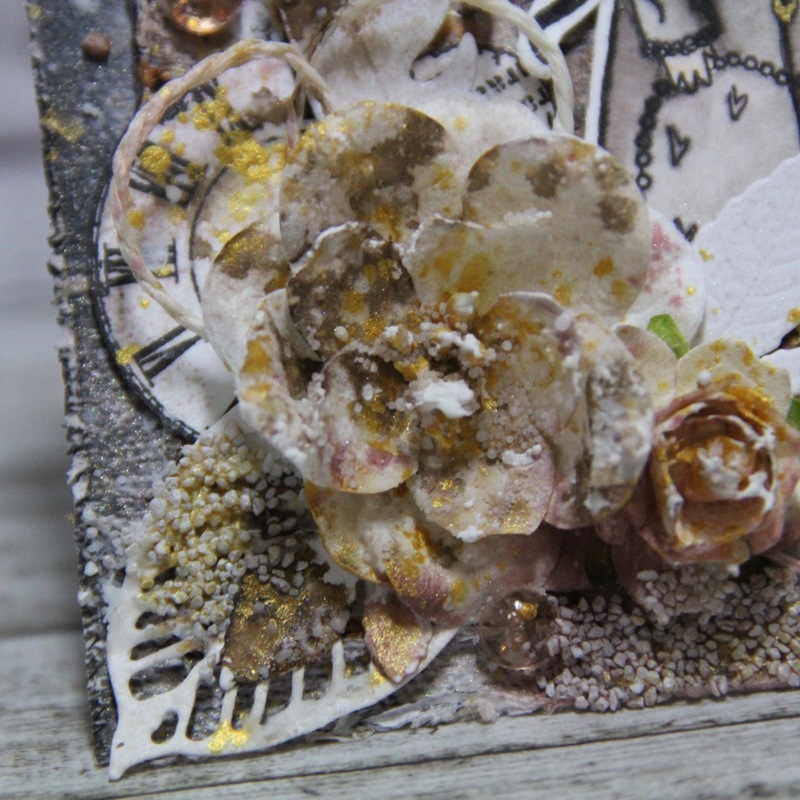 Izink 3D texture paste – caviar – great paste not only for paper but also for fabric! 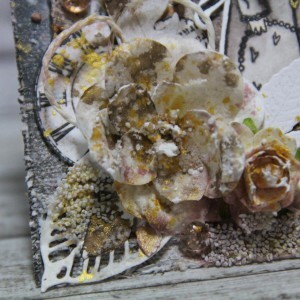 This entry was posted in Mixed media and tagged 7 dots studio, Aladine, Brusho, Colourcraft, Finnabair, Gorjuss, mixed media, Prima Maketing. 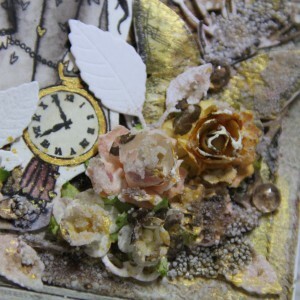 This entry was posted in Mixed media and tagged 7 dots studio, cardmaking, Gorjuss, mixed media.